Many folks think of New Orleans as the birthplace of Jazz, fabulous food, Mardi Gras, and so much more. They are absolutely correct but many of them do not know that the Crescent City was once and is now a producer of great beers. Many can remember growing up with beers such as Falstaff, Regal, Jax, and Dixie which were all brewed in the city. With the exception of Dixie, all have faded into the past. They have left behind fond memories of good beer and the edifices that once housed the breweries. Many of these elegant old buildings now house riverfront malls (Jax) or function as a shelter for similar commercial ventures, or in the case of the old Falstaff building, an upscale apartment building. Dixie survives to this day but is no longer produced in town although its owners are anxious to resurrect the old building on Tulane Avenue and begin brewing beer on site again. The building suffered extensive damage and looting during and after Hurricane Katrina. Dixie currently offers 5 beers for sale including their signature brew, Dixie (American Lager), and my favorite, Blackened Voodoo (Munich Dunkel Lager). Although now brewed in Wisconsin, these delights hold true to the original recipes. New Orleans Lager and Ale Brewing Company (NOLA) is located on Tchoupitoulas Street. It offers 6 beers including the charmingly named Hopitoulas IPA, as well as American Blonde and English Dark Ales. All 6 offerings are sure to please those with a hankering for something out of the ordinary. The rest of the breweries that we claim as our own are actually located on the north shore of Lake Pontchartrain. 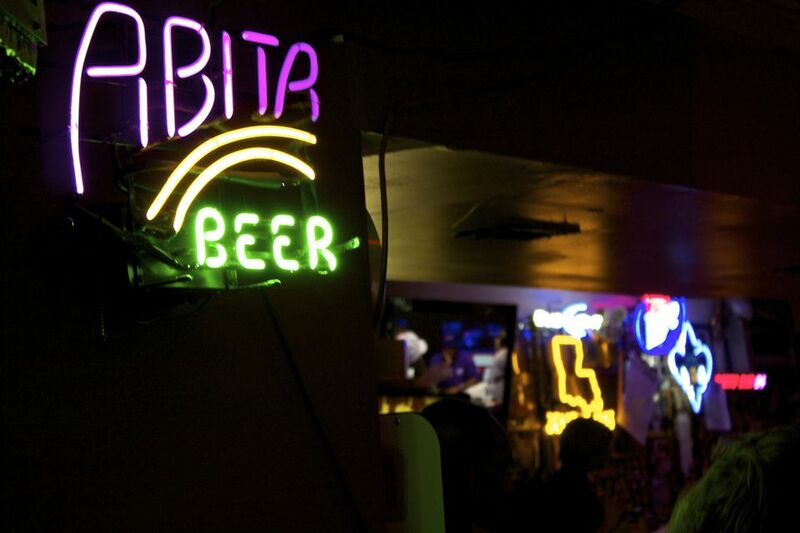 The most famous of these is the Abita Brewing Company located in the picturesque town of Abita Springs. This jewel of a brewery offers 36 beers as well as seasonal specials. It seems that there is always something new to try from Abita. One of their new brews is a concoction which they call SOS (Save Our Shores) to help collect money to combat the BP oil spill. They donate 75 cents for every bottle they sell. It is an unfiltered Weizen Pilsner in a souvenir bottle that holds 1 pint 6 ounces of this sensational brew. Heiner Brau Brewery does its business from Covington, Louisiana. They have 14 brews to offer with names such as Le Pavillon (red amber), Category 5 Pale Ale, Pontchartrain Porter (English) and Strawberry Ale (fruit/vegetable). Have fun as you sample their tasteful and interesting brews. Another north shore favorite is the Covington Brewhouse which offers 2 outstanding choices. Bayou Bock is a Maibock/Helles and their other creation is Pontchartrain Pilsner. Both could quickly become your favorites. So there you have it. New Orleans has much to offer including some outstanding beers. Just one more reason to enjoy living here or to plan a brew hopping tour on your next visit.